Once again the Fort Myers Boat Show was a huge success. John Good, his lovely wife, Laura, and son, Kyle, did a fantastic job, providing vendors who offered and featured anything and everything that one might imagine for recreational opportunities on our beautiful waters. 1stMate Vicki and I relished the opportunities to meet clients and friends whom have blessed us with charter requests. The boat show gets bigger and better every year and I have been fortunate to be involved with John Good and the many members of the Southwest Florida Marine Industry Association. Thanking you all for the opportunity to be a part of such a positive and great group of people. 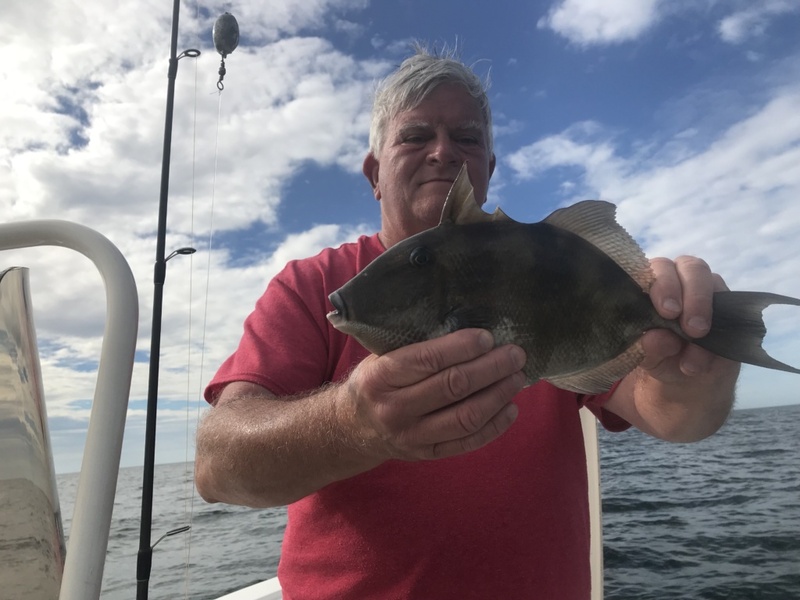 I am posting a picture of Tom Moslander of Illinois, with one of two nice trigger fish he caught while fishing the Causeway Reef (just off of Sanibel Island) a week after the boat show. 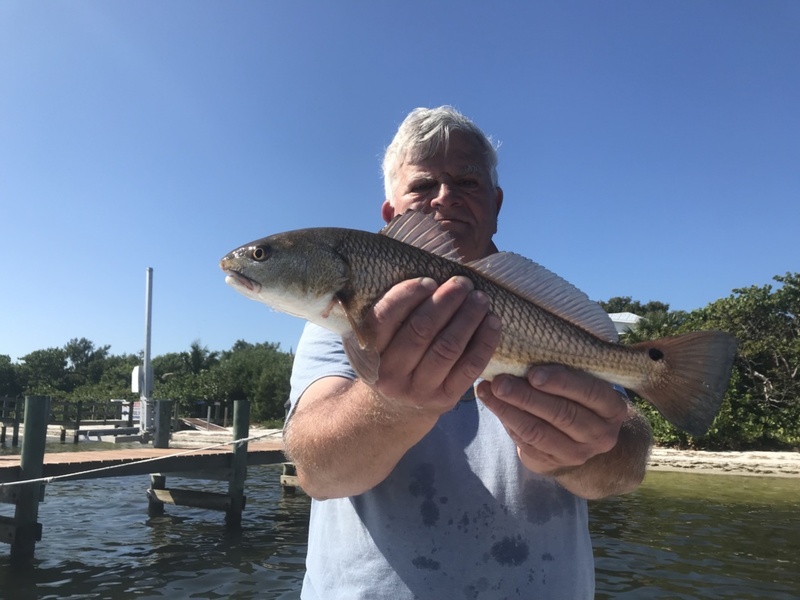 He is also pictured with one of many redfish caught on and inshore run on Friday, the day after Thanksgiving. Tom and his daughter, Marie, are avid anglers and we have enjoyed many fishing adventures together over they years. As always, I am looking forward to the next one! These are very nice people who have nothing negative to say about anyone or anything, I love these guys. Vicki and I are leaving on November 30 for a 6 day trip to Breckenridge, Colorado to research and enjoy fishing the Colorado River as well as a trip on the reservoir of Dillon (weather permitting). We are interested in the quality of fishing in that area and have hired guides to introduce us to any opportunities thereto. Look for my report in Angler Magazine in the near future. Feel free to contact me as to when the article will be placed. This is Captain Terry Fisher of Fish Face Charters. Check out my website at www.fishfacecharters.com. Call me at 239-357-6829 or email fishfacecharters@yahoo.comwith any questions or charter requests.